Most businesses have transitioned from locally installed and hosted information systems to cloud-based ones. The most popular eLearning authoring tools are still tethered to a laptop or desktop. In the current digital era, we have transitioned from locally hosted servers to virtualized or cloud-based ones. Yet the most popular eLearning authoring tools are still keeping users tethered to the one device where the software is installed. Cloud technology and network speeds have matured enough to enable us with cloud based eLearning authoring that allows editing from any device anytime. 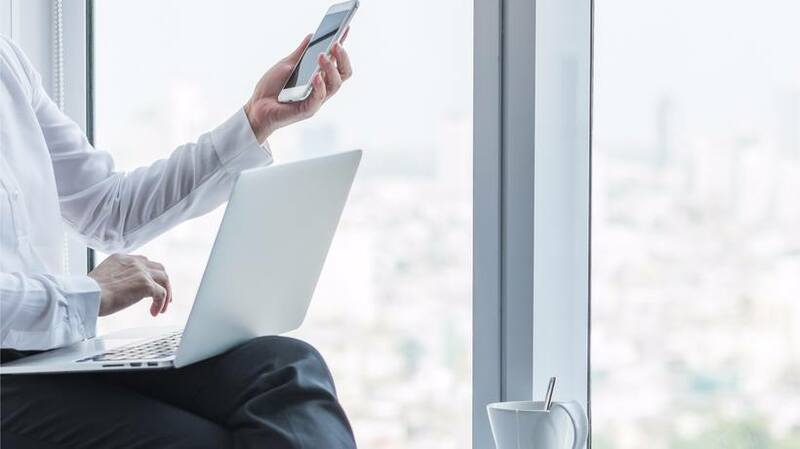 This article takes a look at the future of eLearning authoring in cloud-based environments and how it can transform our development practices. IT security rules are the biggest challenge for corporate eLearning developers depending on the industry involved. For example; in government or healthcare environments desktop based apps like Articulate360 are limited by IT policy to the latest version available at time of install. Each update would then have to be approved by IT prior to installing it because it's on company's hardware. This is usually a lengthy process. This limitation eliminates the greatest advantage of getting Articulate360, which is how often and quick updates are released for this app and all of its components. In contrast, cloud-based applications that do not require any local installs are not limited by these security policies. Instructional Designers and developers can have access to the latest features and updates seamlessly when needed. The only weakness of a cloud based tool is not having internet access and that's no longer a challenge to most developers, especially when mobile devices can be used for editing. Yes, you read it right! Technical drama are bugs and annoyances developers don't have time to deal with. In the traditional format, one has to deal with hardware vs software compatibilities, memory issues, and individual machine performance. This is even of more importance if your design development staff is not tech savvy. In the cloud, you don't have to. All you need is an average functioning device, i.e. laptop, tablet, etc. and a good internet connection. All the engine power would come from cloud servers which could be 10 if not a 100 times more powerful than your company device. There are also no manual installs or updates to perform; all that's needed is a username and password to start developing. Today's business world changes at a pace too fast to properly plan for it in most cases. Cloud-based applications allow you to quickly add/remove developers within minutes. For example; if one of your developers became ill, you could quickly add another one to finish the job. In a traditional setup, you would not be able to do this unless that other developer had the same version of the software, source files, and access to graphic assets of the project. Scalability also saves you money if you find vendors that only bill you on active licenses. In the traditional model, once you purchased a licensed it's tied to a machine and user profile. This can result in paying for licenses that are not being used. It can be said that our current state is leading towards fully cloud-based eLearning tools. 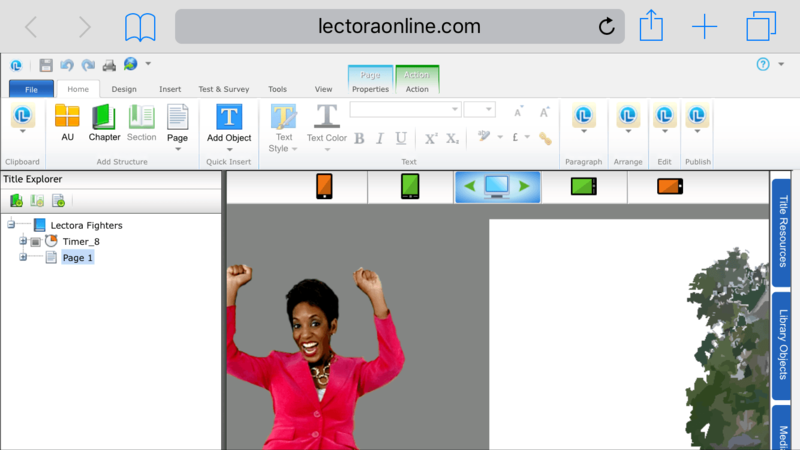 For example; Trivantis released Lectora Online which is a cloud-based version of Inspire. For example; the image below shows editing work on a Lectora project from an iPhone. This is a superb step on the right direction for current Lectora users, as it lets developers create and edit projects from any device and share it with teams. Therefore, big kudos to Trivantis for thinking ahead. My only recommendation is to make the user interface something more contemporary taking full advantage of HTML5 and CSS layouts to lessen the learning curve for new users. Another example of eLearning authoring vendors evolving their products to the cloud is Articulate with their now flagship product Articulate360. Rise is the new web-based mobile learning authoring tool which is part of 360. However, it's not flexible for authoring from a mobile device yet. Adobe Captivate is nowhere near this model except for their Captivate Draft app, which allows for reviews and wireframes. What Else Is Out There Now? Gomo Learning is the most capable cloud-based eLearning authoring tool across devices, ready for teams and fully scalable with xAPI analytics. At first glance Elucidat seems to offer all the advantages of a cloud-based eLearning solution. It has a free trial version which I encourage you to try out. Very intuitive interface and guided tour tutorials are readily available to start developing right away. eNetAuthor takes full advantage of HTML5 and CSS layouts to provide a very friendly user interface. The setup for my free trial was easy, but I did experience a bit of a delay in getting my login credentials created. These are many others worth looking at but not enough room to write about, but check out this list by Christopher Pappas. It's a good time to start venturing into the future of eLearning authoring tools, because web technologies, cloud computing, and internet speeds have aligned. Of the most popular tools, Lectora Online seems to be leading the way in full cloud-based authoring, where developers are not limited to the device where the software is installed. Cloud-based eLearning authoring tools have full scalability allowing for quick adaption of licenses, users, devices, and collaboration. It's a truly exciting time to be an eLearning developer, and all we have to do is start trying out these amazing apps. Cloud-based tools are the future of eLearning across devices and without geospatial or infrastructure limitations.